While you’re still fairly new to the market stall game, it’s generally accepted that you’ll spend a certain amount of time perfecting your market stall set-up and visual merchandising, in order to get it just right. When I was attending markets regularly, I went through several iterations of layout and styling before perfecting my own market stall. One tiny detail that I could never get quite right was how to display my price cards. I like to have price cards set up next to each group of products instead of on every single individual item, as this saves loads of time prepping my products for market. What I was after was a clean, simple way to display the price cards, that wouldn’t detract from my products or styling of my stall. 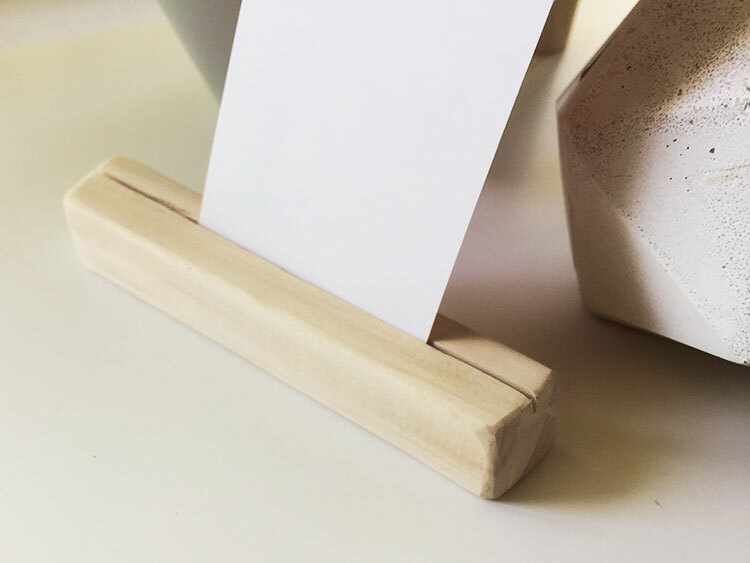 I thought about how I could achieve this, and came up with a super simple design – a short length of square pine, with a slot cut along the top length to hold the card (much like the little stands that come with the quote cards from Kikki K and the like). 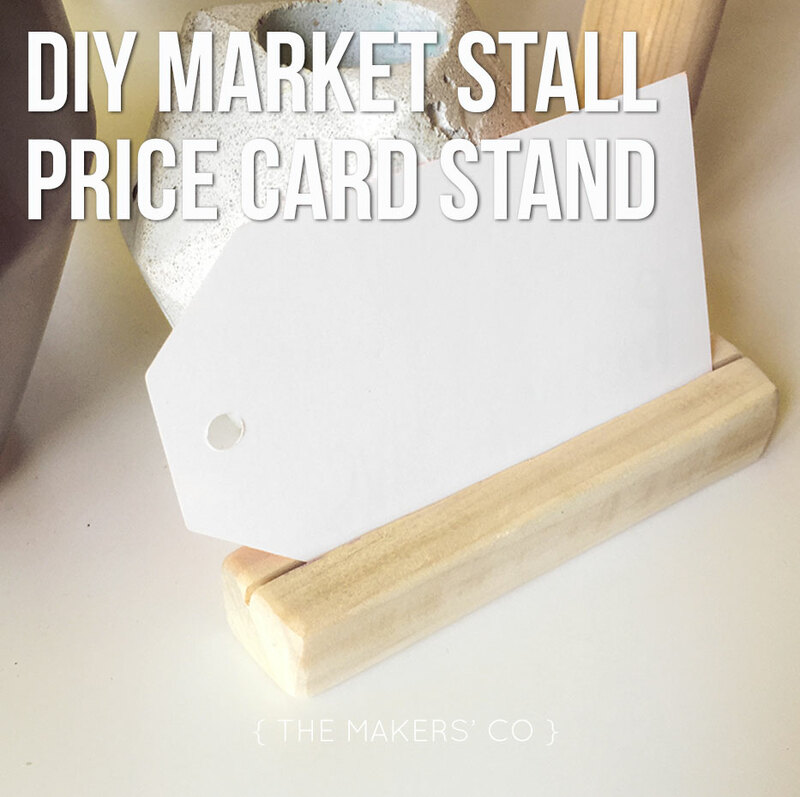 I went ahead and made a simple price card stand, and here’s exactly what I did, so you can make your own, too! 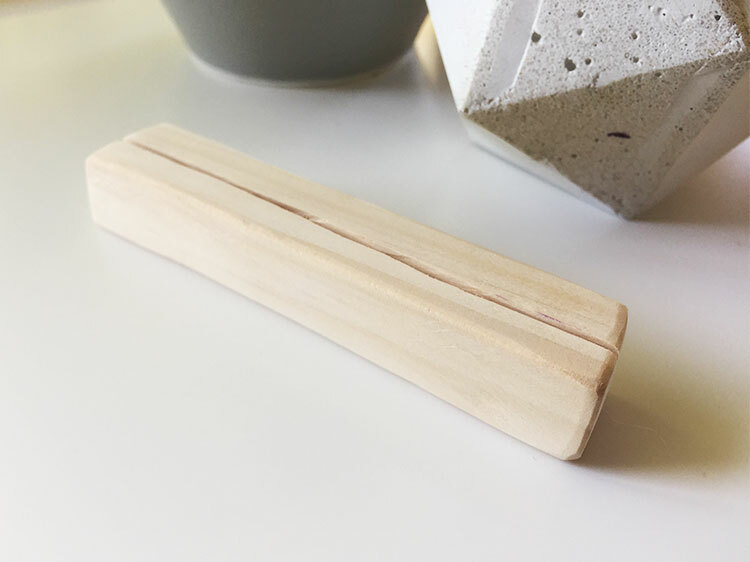 Disclaimer #1: I didn’t measure anything (as usual), and as a consequence the ends of my little stand are wonky (as usual). So if you want your stand to be more accurate and straight, I’d definitely get the ruler out to mark a line around your timber first, so you can make sure your cut is straight! 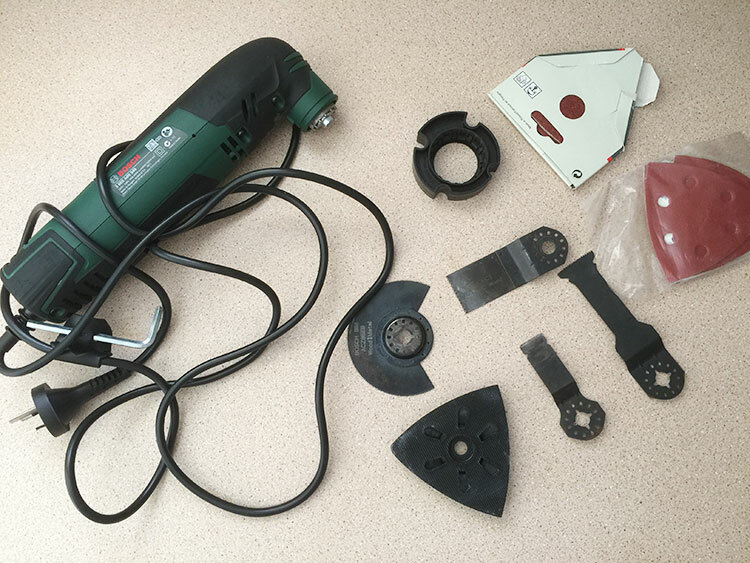 Disclaimer #2: The awesome people at Bosch have sponsored this post, and supplied me with the multi-tool I talk about. 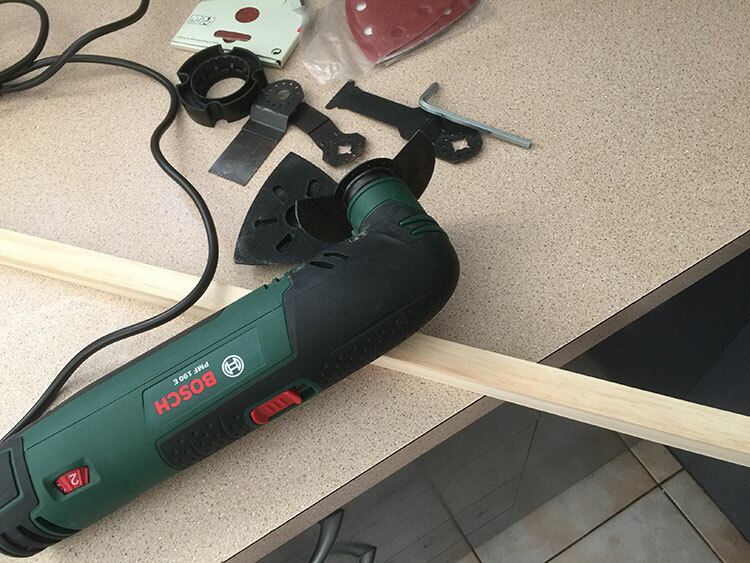 I highly recommend equipping your toolshed with some basic power tools if you’re planning on building anything yourself – the multi-tool was surprisingly easy to use, and did the job perfectly. 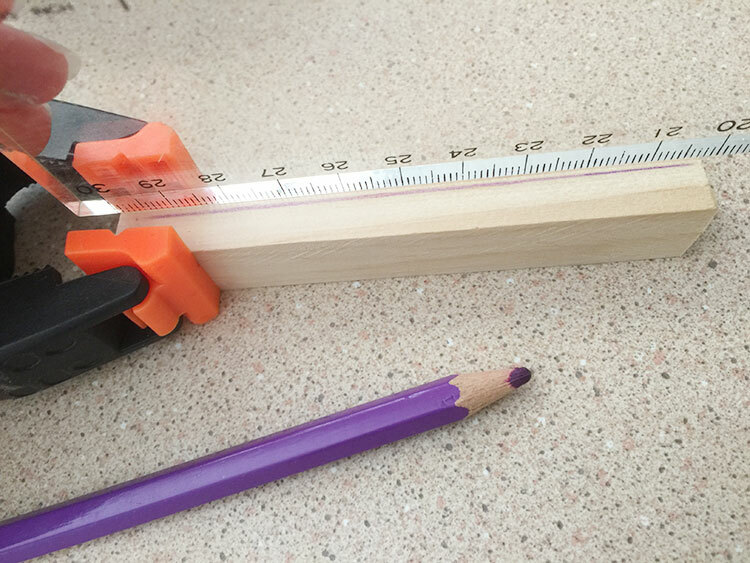 Using the pencil and ruler, draw a line down the centre of the piece of timber. Clamp one end of the timber piece to give a bit more leverage (you don’t want you’re fingers getting anywhere near that blade! 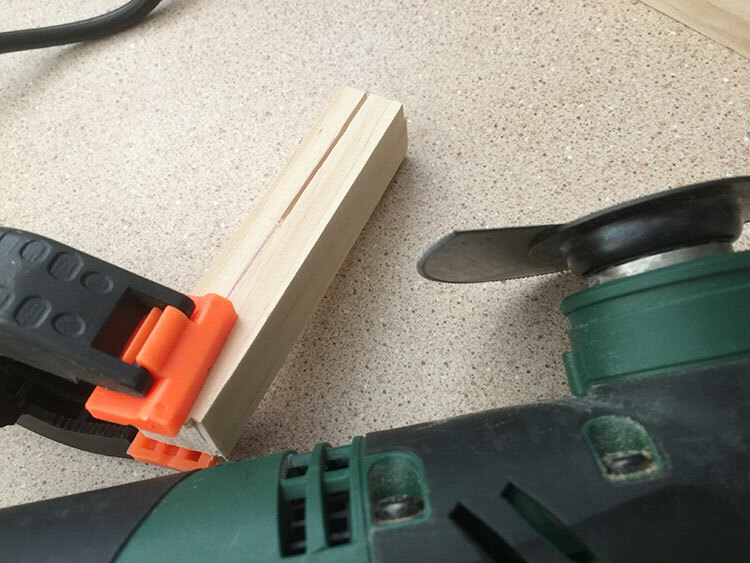 ), and carefully cut the slot along the top edge of the timber. 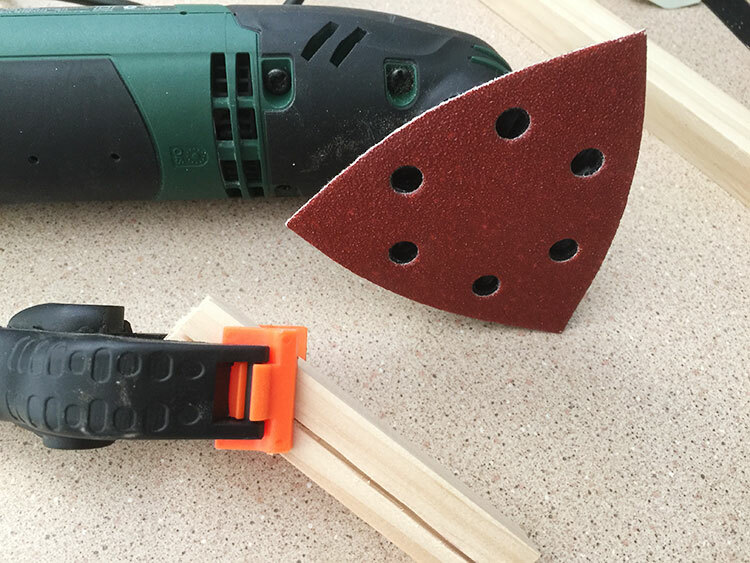 Put the sanding attachment on the multi-tool, and sand around the corners and cut edges. I gave this two go-overs, one with a rough sandpaper and one with a smooth (finer grit) paper, to make it all nice and smoooooth. And that is IT! It took me less than 5 minutes to make this little guy, and I reckon if you batched a whole bunch it would be even more efficient. You could also paint them (all over or dipped would look cool too), or illustrate them, burnish them, stain them… whatever suits your brand! 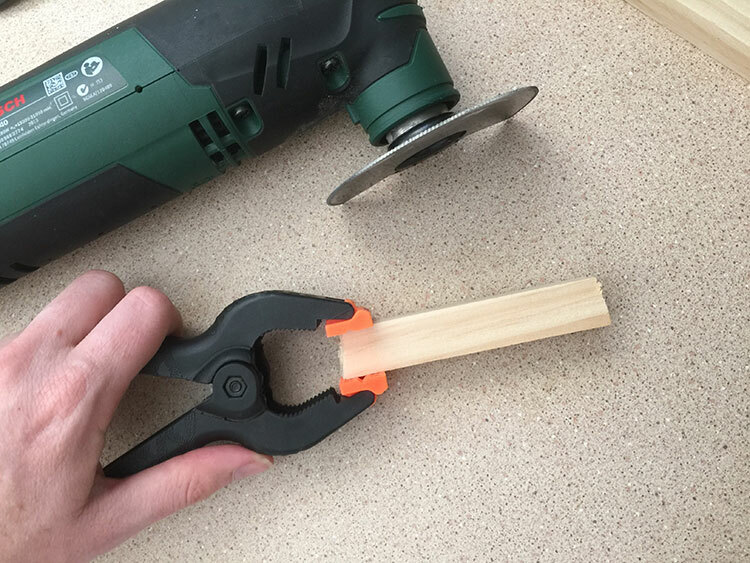 Please do let me know if you try this project, and check out the DIY market shelving post too.